Clematis are wonderful climbers with one in flower in almost every season and a herbaceous group that scrabble across the ground. They are an easy plant to grow and very forgiving,But there seems to be a bit of a mystery about how to care for them, with pruning being high up the list. 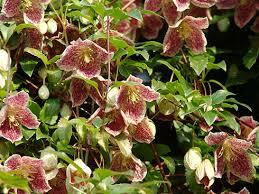 This group includes winter flowering clematis like C. cirrhosa, flowering in January and February. All the delicate alpine group with their soft green feather foliage and bell like nodding flower heads. and the evergreen massive C. armandi, with it’s large dark green leaves with masses of single white, blushed pink scented flower end of April into March. To the very vigorous and show stopping C.montana group, with it’s palmate leaves flushed purple and mass of single pink or white flowers in end of April/early May. This beast can cover up to 2 stories and make a play on telegraph poles. But it is quite a sight. Pruning Group 1: After flowering for all of them. For the more delicate winter flowering and the alpina, it is just about keeping it in check for the position and removing any dead sections, so they may not need pruning every year if you are going for the naturalistic look. For C.aramdi, again it is about keeping it in check so if the new growth is not making a bid on the neighbours garden prune it back to the main body of the plant leaving 3 to 4 buds of new growth. Remove any old and winter scorched growth. For the giant C.montana group again about keeping it with in limits, so prune as for C.aramdi. Also, the shears can be used just to cut of the dead flowers and keep it in check. Rejuvenating an old and congested plant. 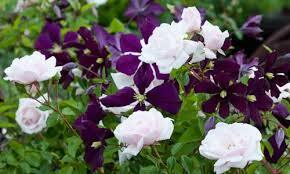 For all of the types of clematis list above except C.aramdi. If the plant has become a woody mess, then cut to stems down to 30cm from the ground, saving any lower new shoots if possible, add a good balanced fertiliser, again carry this out after flowering. Water well. It may well take several years before the plant has returned to maximum growth and flowering. 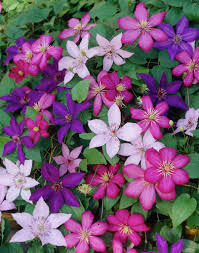 These are the classic clematis with large showy flowers up to saucer size in a range of colours from the deep single colours of rich purples and pinks like C.’The President’ to the flashy stripes of the old favourite C. ‘Nelly Moser’. 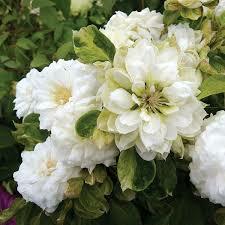 to the striking C ‘Duchess of Edinburgh with it’s white double flowers. 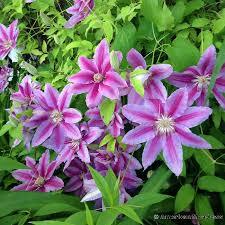 These clematis flower May and June. Pruning Group 2: late winter early spring, February is a good rule of thumb. The first thing to bare in mind is that these clematis flower on old wood. 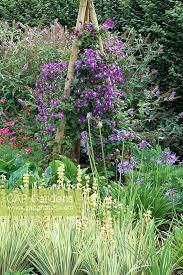 So firstly reduce the over all size the clematis so it fits back into the required space. 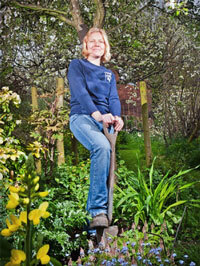 The next thing is to work from the top of the clematis down, removing all weak wood. Always prune back to a strong set of buds. You want to be left with a good frame work of climber. If it is on a pillar or tripod, make sure it is a good 1m above the ground this gives the new shoots a fighting chance against the slugs and snails. Also if you prone off old flower heads and prune back a few of the long straggly stems after the main summer flowers you may get a sparser autumn flush of flowers. This group of clematis flower late summer and well into the autumn The viticella group of clematis which C. ‘Gipsy Queen’ is one, are vigorous growers which produce an abundance of flowers 7/8cm across in a variety of deep reds and purples. Clematis tangutica and it’s varieties are like the alpinas in habit and growth, with the same fern like foliage and nodding heads of yellow flowers followed by attractive white seed heads which last through the winter. Pruning Group 3: These clematis flower on new growth. So prune in February/March . Most books suggested hard pruning to only 30cm off the ground to be honest to steel a march on the slugs and snails I would take them down to 50cm off the ground, prune to a strong set of buds. 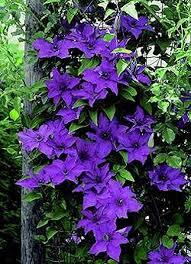 A Clematis to suit all tastes. 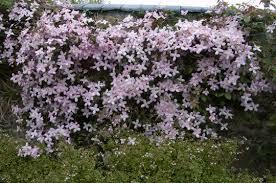 General Care: Most of us are quite crawl when planting clematis we plant them up against a wall where it is dry with poor soil. 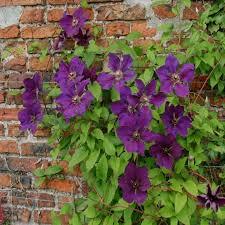 The old adage of planting the roots of the clematis in the shade and it’s flowers in the sun, has a lot in it. These plants do not like dry poor soils, they want a good soil which it moist all the time but not water logged. 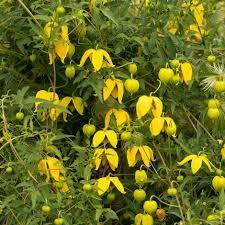 What a lot of people blame on clematis wilt- the disease is in fact a very dry and unhappy clematis. So pile on the leaf mulch, put on the tiles and slate to help shade the roots. 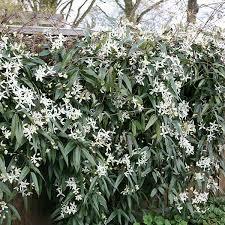 As they are planted next to a fence, wall, house, it is dry as the roots are often in the rain shadow so water regularly. 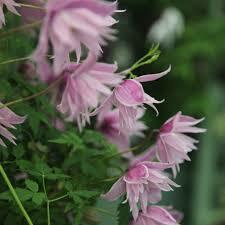 You should now have all the information you need to grow beautiful clematis. Enjoy! This entry was posted in Gardening Thoughts, Gardening Tips and tagged clematis on March 29, 2019 by Emily.